Securities attorneys at Gana Weinstein LLP have been investigating Raymond James & Associates, Inc. (Raymond James) broker Thomas O’Brien (O’Brien). According to BrokerCheck records, O’Brien has been subject to three customer disputes, one of which is still pending. The majority of these disputes involve the misrepresentation and unsuitable recommendation of annuities. Most recently, in November 2017, customers alleged that from January 2001 to present, O’Brien engaged in fraudulent representation of investments, over-concentration of investments, and failure of the firm to properly supervise O’Brien’s activities. The customer is requesting $5,000,000 in damages. This dispute is still pending. In September 2006, a customer alleged that O’Brien falsely represented an annuity purchase to the customer by failing to disclose crucial information that the investor can’t withdraw funds from his annuity investment. The customer requested $5,000 in damages. All advisers are obligated to make suitable investment recommendations for their clients by following certain criteria. For an investment recommendation to be suitable, the broker must have first have a reasonable basis for recommending the security/product based off the broker’s research of the investments properties including its benefits, risks, tax consequences, and other relevant factors. In addition, the broker must also understand the customer’s specific investment objectives to determine whether or not the specific product or security being recommended is appropriate for the customer based upon their needs including the clients net worth, life savings, age, investor experience, among other factors. “Securities fraud” covers a wide range of illegal activities including the deception of investors or the manipulation of the financial markets. 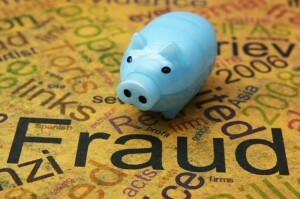 Fraud includes false representations, unauthorized trading, value manipulation, and Ponzi schemes. Investors are protected against fraudulent securities activities by several different civil laws. All FINRA firms have the duty to supervise their brokers. The duty to supervise is a critical component of the securities regulatory scheme. Supervisors have an obligation to respond vigorously to indications of irregularity, often times referred to as “red flags.” A supervisor cannot disregard red flags and must act decisively and specifically to prevent improper conduct by their brokers. O’Brien entered the securities industry in 1992 and has been registered with Raymond James since February 2013. From November 1992 to February 2013, O’Brien was a registered representative with Morgan Keenan & Company, Inc.